Like anything else, Golf Clubhead design is directly related to customer acceptance and customer acceptance can be determined by functionality or looks. This is why some companies start with what they think will have the highest performance and then design the graphics of the club head around that premise. In this case they are thinking function first and looks second. For instance Mizuno tends to focus their iron design on functionality first, and once they get a club head that performs well and has the right characteristics to assist the golfer, they then figure out a way to make it look appealing. Some other companies tend to structure their Golf Clubhead Design arround graphics first and then function later. 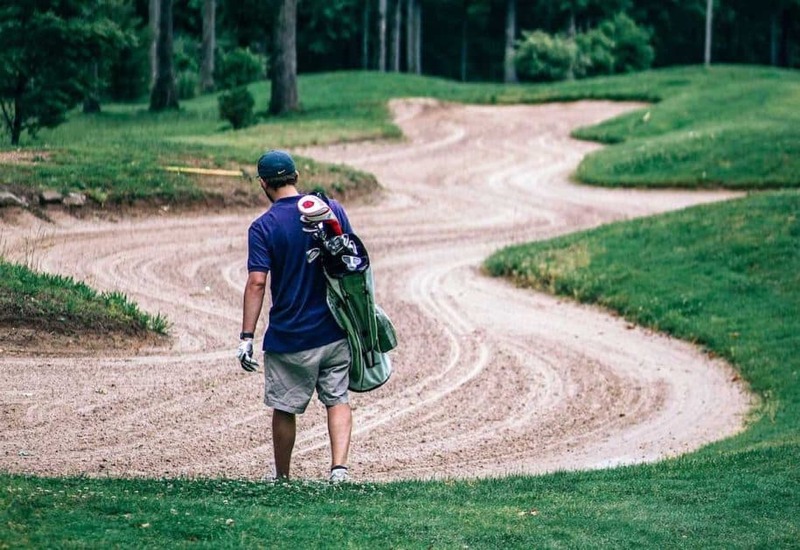 There are companies who place a lot of emphasis on how the design, graphics, adjustment options look, rather than what they actually do to help the golfer. Of course, they do blend in performance at some stage, but that is not their primary focus. Form versus function in Golf Clubhead Design has perplexed designers, engineers and marketers for decades in a three way tug of war which will ultimately be determined by what the public wants. This article focuses on the functionality and engineering concepts which make up a good Golf Club Head Design, as in my opinion these are the most important elements in the design of a golf club that will contribute to improving your golf in the long term. Read something more about Alpha Golf Irons. An important component of functionality in Golf Clubhead Design, especially with higher handicappers is forgiveness. Forgiveness in a golf club is the ability of a golf club head to reduce the effects of off center hits. The Moment of Inertia of the club head has a direct relationship on the club’s “forgiveness”, on the shot shape and on the distance of a golf ball struck the by club. Moment of Inertia is the measure of a club heads resistance to twisting about the golf club heads center of gravity upon impact with a golf ball. In general, the higher the moments of inertia, the less the golf club head is likely to twist at impact when the ball is not hit in the center. The higher the moment of inertia therefore, usually means a straighter shot, greater ball speed, and increased shot distance. When I consider Golf Clubhead Design in irons I look for club heads with high moment of inertia, aesthetic looks, and good performance. Correctly designed Peripheral Weighting achieves high MOI, and Forging give the club that extra edge. Many of the major manufacturers have products which meet this criteria, but most of the off the shelf clubs look good but are missing some of these characteristics. There are a few of component manufacturers which specialize in club head design and stand out for the quality and performance of their clubs such as, Miura, Maltby Golf Irons, and Alpha. Golf Clubhead Design in woods is also centered on incorporating features which increase forgiveness for off center hits, but give more emphasis on the head size, elasticity in the clubface, weight bias adjustment, the use of special alloys, shaft weight, and shaft performance. In woods the shaft will have much more influence on distance and accuracy then the design of the clubface. Modern woods also focus Golf Clubhead Design on COR or coefficient of restitution which is the ability of the striking surface to rebound the ball, or the spring-like effect of the surface. The USGA governs many of these factors and aims at limiting size, shape, volume, and COR to manage the MOI and performance characteristics of a golf club, so golf club manufacturers are faced with the choice of increasing one performance characteristic at the expense of another. What I look for in a wood Golf Clubhead Design is for excellence in engineering with the use of composite metals, blended with a quality titanium face in the driver, and a low center of gravity in the woods to pick up the ball easily. The reality is that many of the above characteristics are designed into the clubhead, so it leaves aesthetics and the shaft to make the difference. Many people do not really understand that given the clubhead meets the above criteria, the real difference in performance comes from the shaft. A correctly selected shaft, aligned, trimmed, and fitted properly can easily increase distance and accuracy. In my opinion it contributes to about 80% of performance as compared to 20% from the clubhead. A longer shaft matched to your swing speed, tempo and release point will achieve greater clubhead speed. This is just physics. At Better Golf Clubs we design golf clubs which will deliver the club face square at impact and achieve optimum club head speed. We work with you to determine the frequency, torque, and kick point that will suit your game, and build a set of clubs to optimize these parameters. For more information on finding the correct shaft for your golf club visit https://bettergolfclubs.net where you will find articles and information on best practice in golf club shaft selection and Golf Clubhead Design.